It's no secret that I love me some World Showcase and I especially loved the troll topiary in Norway (lol... he even has toenails)! 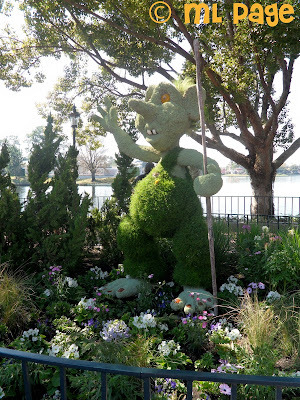 A great travel tip is that about a month prior to the festival topiaries start going up! We saw tons during our President's Break trip last year (but of course when I returned in April I was floored by the other beautiful topiaries that went up in the interim)!